Plants make great return gifts. We can plan indoor plants, vegetable plants or even herbs and pot them in mud pots for you! The Crofters Ecosystem is an intelligent, self-cleaning, indoor aquaponics garden. It helps you grow completely organic food right inside your living room. Crofters is for passionate gardeners living in crowded apartments without a backyard space or a terrace of their own. The crofters ecosystem helps you grow plants 50-75% faster when compared to traditional methods. Includes Complete Setup with a starter kit of filter, pump, gravel, fish food, seeds and test kits. • Self-Cleaning 20 Gallon Aquarium. • A 330 square inch main Grow bed with 7-inch root zone. • A raft system with 9 2-inch net pots above the aquarium for maximum produce. • Clean soil-free clay pebbles ideal for aeration, moisture retention and a media for beneficial bacteria. • Optimized LED Grow Lights for maximum efficiency. • Wi-Fi connected system for complete automation even when you are on a vacation. • Smart Phone application to monitor and control the system remotely. • The Ecosystem is connected to the internet providing valuable data to our servers which help provide tips to get a better produce. • No more water changes like conventional aquarium. • Bacteria aid in breakdown of organic material that will be used by the plants. Thus completing the cycle in the Ecosystem. • An integrated storage compartment for fish food, tools and accessories. • Sensors are connected in the system to notify you in case of malfunctioning, low water levels, temperature and humidity. The plant forms a head with leaves and petioles when matured. This heading vegetable is very tender and delicious. Jar Terrarium : A terrarium is a collection of small plants growing in a transparent, sealed container. Inside a terrarium’s walls, many natural processes may be observed: photosynthesis, respiration and the water cycle. We have picked this archaic jar and created a wonderful ecosystem of its own! This jar is about 12″ tall. Carrot Nantes after harvest will be Bright orange throughout. Its Sweet, juicy and fine-grained flesh. Straight and smooth. Light: Thrives in muted/ partial light – preferably in bright indoors or an east facing balcony. Watering: Water once in 2 days using a sharp spray. Spray directly to the base of the plants. Do not over water. Flaming Sword (Vriesea Splendens) : A tropical beauty to behold, these bromeliads are very short statured and make some awesome table plants. Kale is a hardy, cool-season green that is part of the cabbage family. 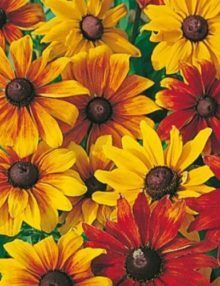 It grows best in the spring and fall and can tolerate all fall frosts. Kale can be used in salads or as a garnish and is rich in minerals and vitamins A and C.
Kale is easy to plant. Set plants at the depth at which they are growing in the container. Space them 18 to 24 inches apart. The leaves will grow bigger if given a lot of space, but smaller leaves tend to be the most tender. After planting, water plants well and apply a liquid fertilizer. Mulch the soil heavily after the first hard freeze; the plants may continue to produce leaves. *Pseudomonas live as saprophytes and parasites on plant surfaces and inside plant tissues. How does it benefit my plants? *This Pseudomonas promote plant growth by suppressing pathogenic micro-organisms, synthesizing growth-stimulating plant hormones and promoting increased plant disease resistance. Onion Seeds, of best variety which can grow in all regions of India. Terracotta planters are so much fun! They’re just the perfect combination of interior decor and low-maintenance gardening, easy to incorporate just about anywhere that needs a splash of greenery. Pet owners are sure to love this one. This cute puppy will protect your favorite small plants or succulents with the loyalty only a canine could muster.